Our daily programming provides skills training and other opportunities so that individuals may improve their level of independence in the community. Bridges of Indiana believes in community based services and it is important to us. 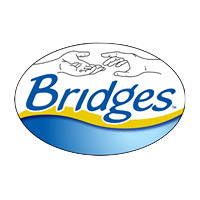 Bridges is built on community and integrating individuals with others to work on their social and community networking goals. It is Bridges mission that every individual live, work, and learn where they choose in their community and we work 1:1 to provide this service. Our daily programming provides skills training and other opportunities so that individuals may improve their level of independence in the community. Day activities can be used as an opportunity to focus on such things as: personal grooming and hygiene, money management, educational opportunities and safety, nutrition and exercise, meal preparation, using public transportation and communication with peers.